Which Occupations in Lakeland Have High Cancer Rates? Lakeland is fighting occupational cancer with new protective gear. The Lakeland Fire Department is the first department in the state to use halo hoods, which are designed to filter out the dangerous cancer-causing materials that firefighters are regularly exposed to. This news has many in the community wondering: what other occupations in Lakeland have high rates of carcinogen exposure? It’s no secret that firefighting is a dangerous job, but few people are aware that firefighters have one of the highest rates of occupational cancer in the country. 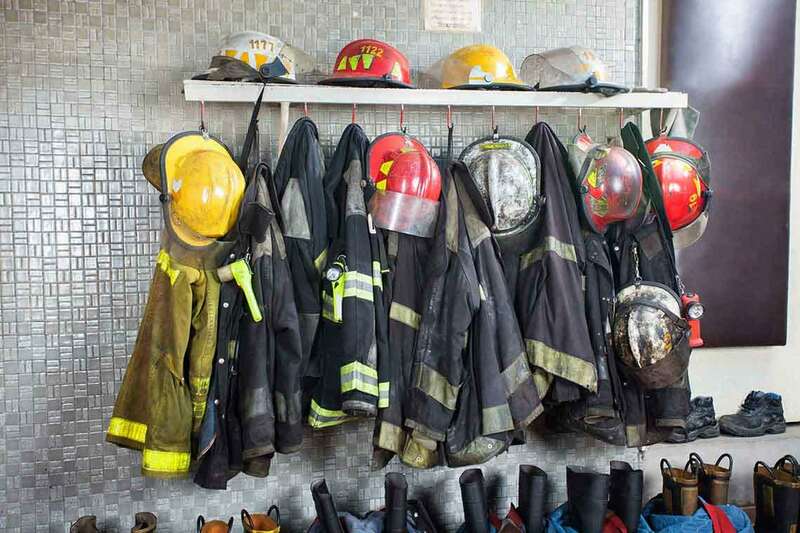 In addition to contracting cancer at a higher rate than others in the country, firefighters also have a higher risk of dying from cancer, according to a new study from the National Institute for Occupational Safety and Health. Fortunately, greater awareness of occupational cancer has led to advances in protective gear for firefighters. “Our gear now-a-days is getting really good, so we are able to go into a fire longer, do our job a little bit safer and that’s our number one goal: that everyone goes home safe,” Lakeland Firefighter Kyle Davis told Bay News 9. What other occupations in Lakeland are associated with higher rates of cancer, and what is being done to keep workers safe? Skin cancer is a major risk for outdoor construction workers who spend long shifts exposed to the sun’s rays, especially here in the Sunshine State. In fact, outdoor workers experience twice the number of non-melanoma skin cancers as indoor workers, according to data from the Skin Cancer Foundation. However, there are steps outdoor workers can take to minimize their risks. Apply sunscreen to your face, neck, ears, arms, back, hands, and other exposed areas every two hours, advises SCF. Regular breaks in the shade, broad-brimmed hats, and long clothing are also effective ways to reduce your risk of skin cancer. Certain funeral workers also have a greater risk of developing cancer. A study by the Journal of the National Cancer Institute found that long durations of exposure to formaldehyde, commonly used to embalm bodies, were associated with a significantly increased risk of death from leukemia. Formaldehyde is a known carcinogen and funeral homes must comply with certain guidelines established by the Occupational Safety and Health Administration to reduce harmful exposure for workers, including installing adequate ventilation in preparation rooms and requiring the use of personal protective equipment. Workplace safety standards are improving each year to protect the health of employees, but this wasn’t always the case. Retired military personnel who served in a branch of the military in the 70s or earlier have a much higher risk of developing mesothelioma as a result of asbestos exposure. Asbestos is a naturally occurring mineral that was frequently used in many industries because of its durability and heat resistance. However, when asbestos is cut or sanded, it can release fibers into the air that are easily inhaled. Once in the lungs, these fibers cause scarring, inflammation, and diseases like mesothelioma, a rare form of cancer that can develop up to 50 years after a person’s initial exposure. Asbestos was frequently used in military barracks, tanks, ships, and airplanes, until it was discovered to be harmful. While asbestos is no longer used by our military, some veterans who served decades ago have recently been diagnosed with mesothelioma. Construction workers who mix concrete are at risk of developing a rare form of lung cancer known as silicosis, according to the American Lung Association. Silica dust, which is used in the production of glass, optical fibers and cement, can enter and scar the lungs of workers who are regularly exposed to it, resulting in silicosis. There is no cure for silicosis once it has developed. Worse yet, silicosis may occur 10 to 30 years after exposure. Fortunately, OSHA has issued a final rule to protect workers from silica exposure, which went into effect this year. Employers are required to reduce the permissible exposure limit for silica dust per 8-hour shift, provide respirators to employees, offer regular medical exams to highly exposed workers, and train workers on how to limit exposures. While some occupations are risky in the long-term due to exposure to harmful chemicals, other jobs pose immediate risks of accidents and injuries. If you have been injured at work and the insurance company is attempting to deny your valid claim for workers’ compensation, we may be able to help. Read more to learn how our workers’ compensation attorneys in Lakeland will fight on your behalf to try and get you the compensation you deserve after your workplace accident. If you are ready to pursue a claim, fill out our free, no-risk case evaluation form today.